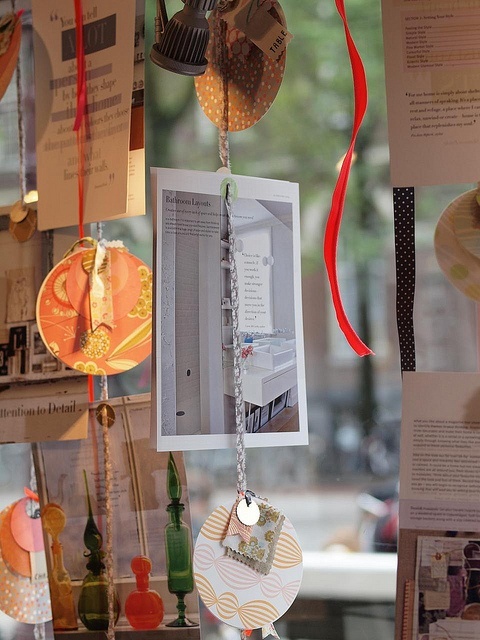 Gather up all of your old Christmas cards and decorate your windows, hanging them up just like clothes on a clothesline. Use metal rings or wooden clothespins to hang them. Stockings aren’t only for the mantel – you can dress up your windows with them too! Hang them up on a string along with ornaments and garlands to decorate your windows and jazz them up even more for the holidays! 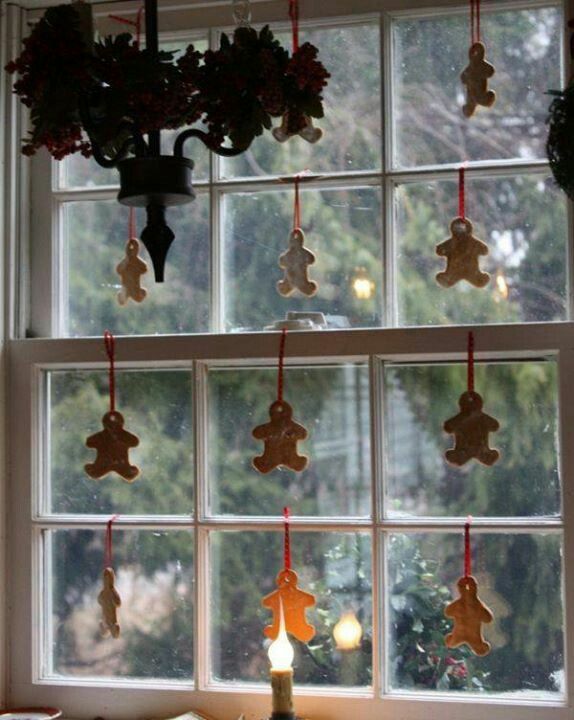 Bake ginger bread cookies, tie a loop at the top with a ribbon and hang them against your window for a “Candy Shop” window look! Candy canes are a cheap way to dress up any area of your home and make it scream “Christmas is coming!”. 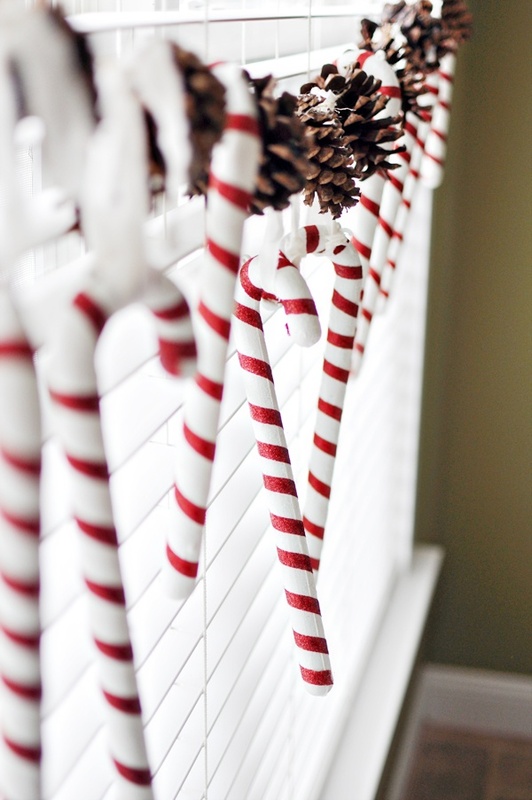 Tie a string across your window and hang red and white candy canes along the string on a ribbon. Go for a nature walk and pick up pine cones, mixing them up on the string along with the candy canes. To make your decor even more festive, paint glitter over your pine cones to make your window twinkle all night long! 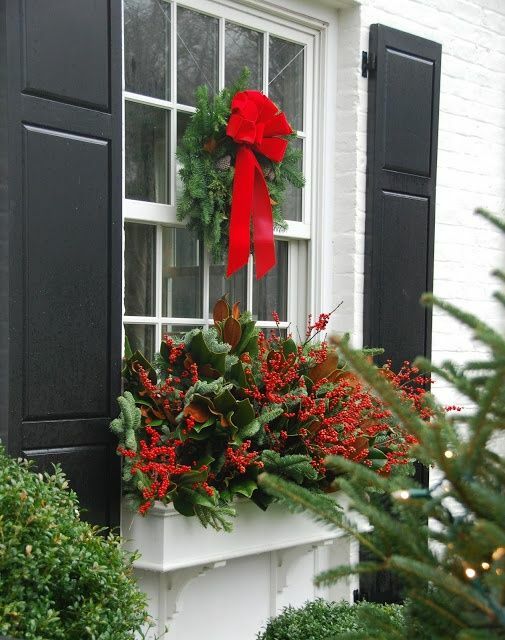 You can’t go wrong with a simple holiday wreath that you can hang either on the inside or outside of your window. 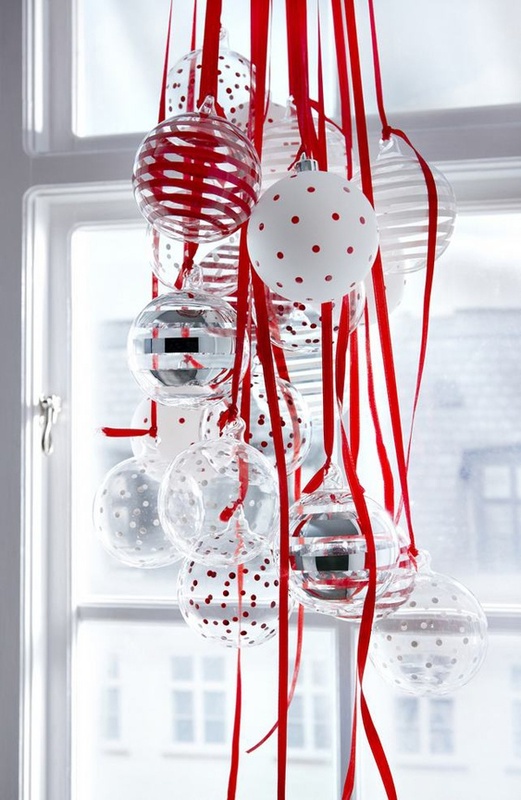 Wrap a bold red ribbon around it and add some holiday baubles for even more color and cheer. Hanging clear glass ornaments over your windows is a good way of dressing it up. Glass ornaments invite natural light in and cast a shine and sparkle all over the room. You can hang the glass ornaments with ribbons of different lengths but make sure the ribbons are tied securely onto the bauble and on the frame of the window. 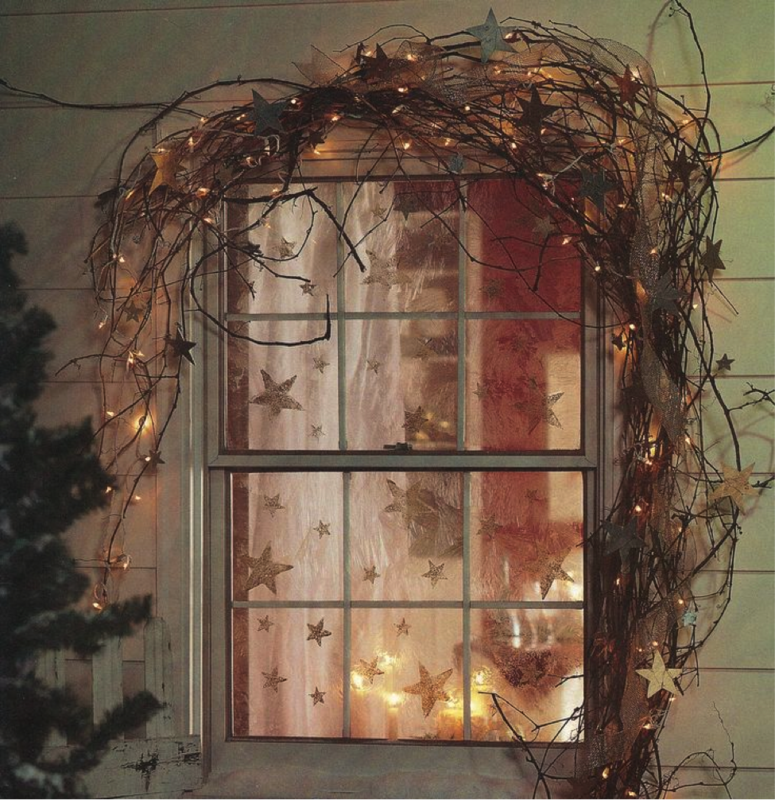 If you want a sweet and starry starry night vibe this holiday, hang pieces of dried wood vines outside your window pane and add laces and gold stars on it. You can also hang paper snowflakes from the rods using colorful season inspired ribbons to depict a scene of snow falling from the sky. Christmas lights will also make it look classy and vintage. Stained glass is expensive and thankfully there are many ways to mimic this high end look. 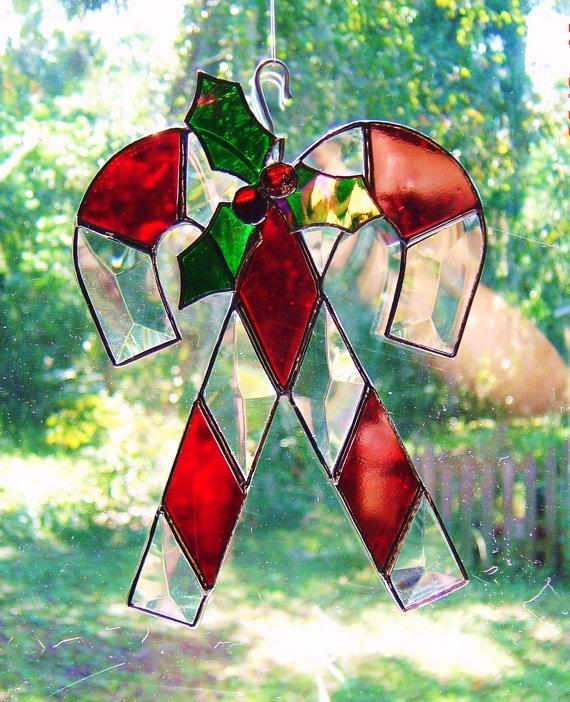 You can purchase Christmas decorations that are inspired by stained glass and even stained glass stickers for easy application and removal. You can also try DIY stained glass windows, using colored tissue paper and glue – a great way to get the kids involved! 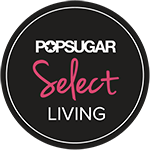 This is a great way to bring the outdoors in and use what you have around your home – twigs. Use dried twigs and spray paint them in shiny black, gold or silver. You can also add some glue to them and roll them in glitter for a sparkly look. 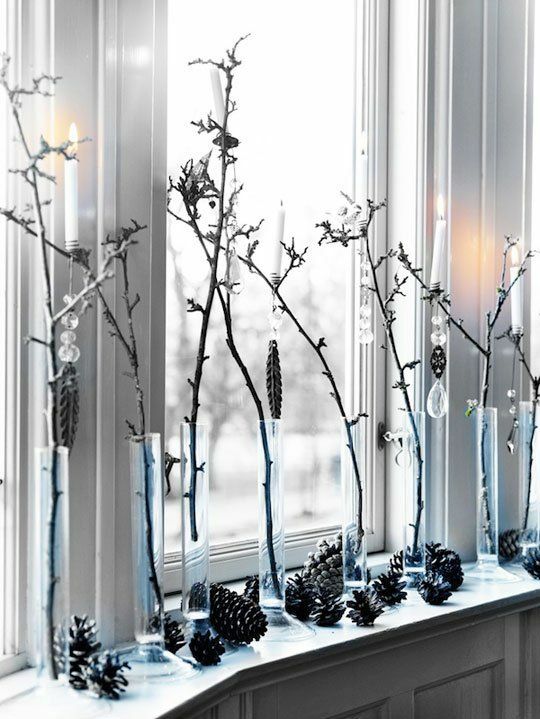 Pop them in a few glass vases and hang some crystal beads on it for an icy winter look! This article was exclusively written by Huffington Post blogger Patricia Evans. You can read more of her work at her blog on The Huffington Post. This entry was posted in DIY and tagged baubles, better decorating bible, blog, candy canes, christmas, christmas cards, decorating, diy, do it yourself, dress up windows, easy, ginger bread cookies, holidays, ideas, last minute decor, ornaments, pine cones, projects, spray paint twigs, stockings, wreath. Bookmark the permalink.